Linda has served as the Clerk & Master for Putnam County since 1992. The Clerk & Master is an appointed position which has a six year term. Linda considers it a privilege to serve and work with the Chancellor, other Judges, attorneys, and the people of Putnam County. She worked as a legal secretary and assistant since 1964. 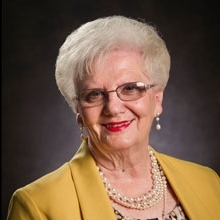 She is a certified public administrator, having earned this designation from the University of Tennessee CTAS in 1998 and is recertified annually to keep the designation current.